Piano, Guitar, Drums, Voice, Violin! Register today to claim your spot before summer starts! Per our CMLC policy, lesson rates are subject to change in September of each year. As of September 2018, all instrument and voice lessons will be $95.00 per month per student for a 30-minute lesson, with an average of 4 lessons per month. 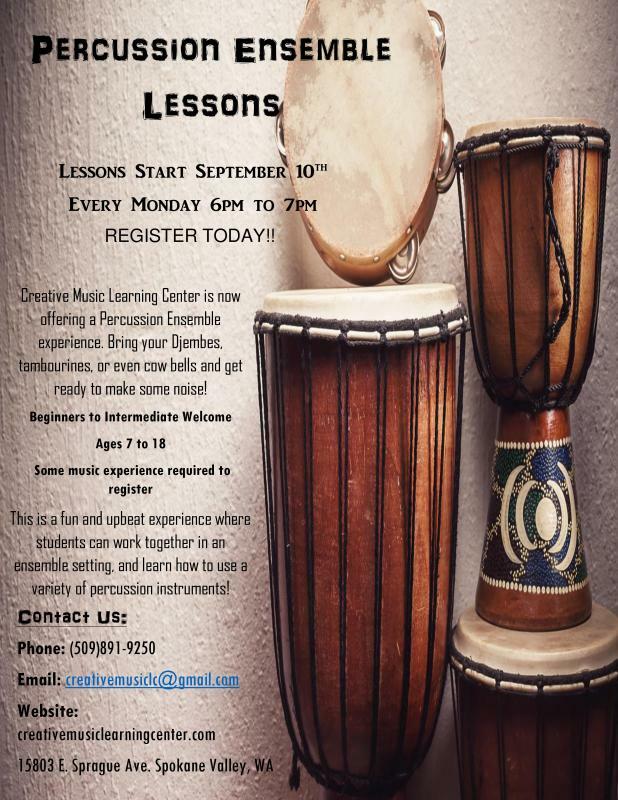 If you have any questions, please feel free to call or email us at (509) 891-9250 creativemusiclc@gmail.com. Thank you. Contact Us Today for Information Today! Inquire about our summer camps at creativemusiclc@gmail.com!